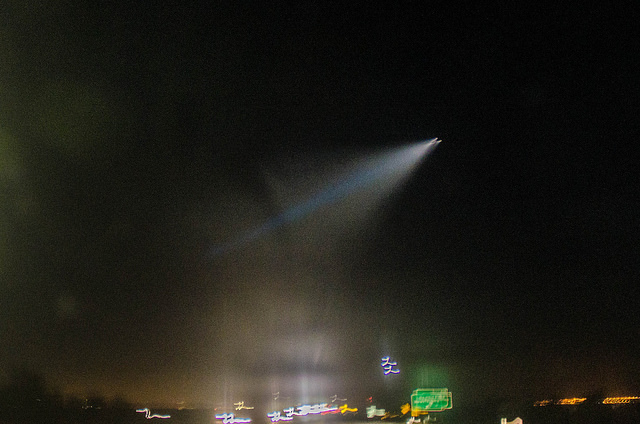 The reports were quickly debunked by the US Navy, which announced that the light was simply part of a test missile launch. The U.S. Navy Strategic Systems Programs Trident II test missile was launched from the USS Kentucky off the coast of southern California, and landed in Arizona. Because these launches are top secret, the Navy cannot release information about them ahead of time. Too bad, because a lot of people were surprised and frightened by the sight. And am I the only one who's a little weirded out by the idea of the Navy launching missiles over one of the most densely-populated areas of the country?